For a start we ordered some drinks. Sarawak is always famous for their 3 layers Teh C Peng (evaporated milk iced tea). This is Sarawak all time favorite drink. Compared to our normal iced tea / teh peng, this is sweetened by palm sugar rather than sugar. This drink is very addictive. 1 will never enough! This is a Teh O Ice with added blueberry flavors. Crispy noodles served with sweet and sour tomato sauce, char siew and vegetables. 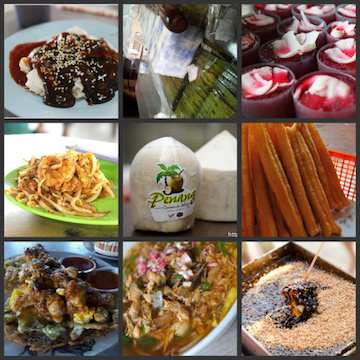 Kuching specialties. Mixed with home made char siew sauce served with char siew, minced pork, pork lard and vegetables. Recommended to try this one.